Dr. Thwaini graduated from medical school at Baghdad University in 1994. 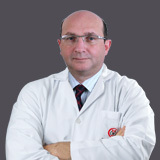 He acquired FRCS (Ireland) in 1999 and the Jordanian Board in Urology in 2000. 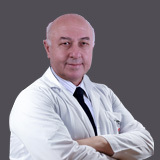 He acquired the Arab Board in Urology in 2001, and earned his MD degree from Queen Mary University of London, UK (2004) with a thesis on prostate cancer. In 2007, he entered the UK national higher training scheme in urology. Dr. Thwaini completed his training in 2012 by acquiring the Intercollegiate Specialty Board Certificate in Urology (FRCS-Urology) and he acquired the CCT UK-wide accreditation. 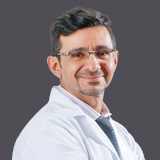 Dr. Thwaini started his career in Urology at the Royal Medical Services in Jordan, and moved to Abu Dhabi where he worked for three years as a specialist at SKMC. He later worked in Belfast City Hospital, Altnagelvin Hospital and Craigavon Hospital, working with regional and national experts in the field in Northern Ireland. Dr Thwaini has been working as a consultant urological surgeon with specialist interest in urological cancers, namely in renal cancers. He is the lead for renal cancers in the Belfast Health and Social Care Trust (Belfast City Hospital). This is a tertiary regional referral centre for complex cancer and benign cases. 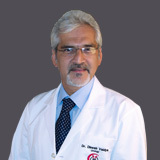 His main skills are in advanced laparoscopy and renal cancer and renal reconstruction procedures. Dr Thwaini is also an Honorary Clinical Lecturer at Queens University, Belfast. He is known for his academic contributions throughout his career with over 40 Medline publications in the field.